I have great friends. Not only are they always there for me and listen to my rants, they give me stuff! 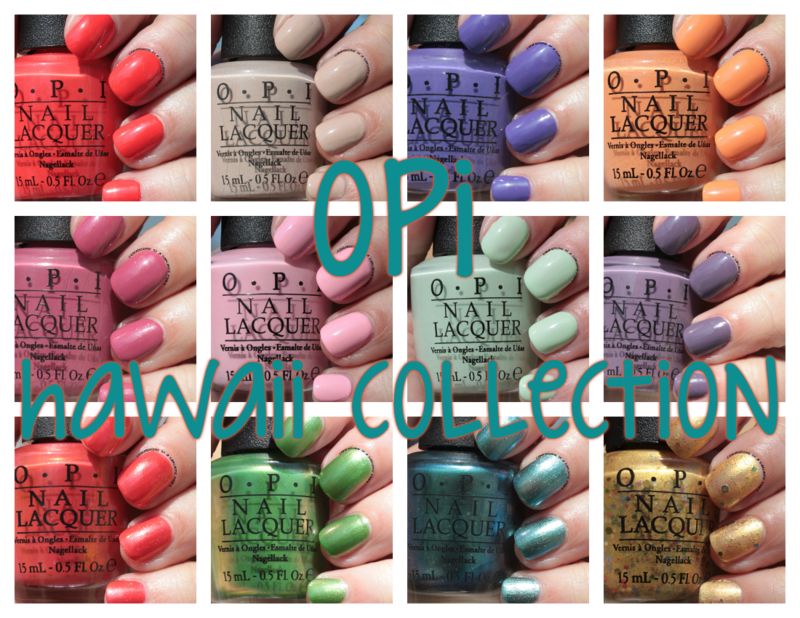 This OPI collection, the Hawaii Collection, was sent to me by my friend Lisa! I've had this collection photographed for a while now, but with Camp NaNoWriMo last month, I got behind on cropping and watermarking photos. But it's all good because it's here now! 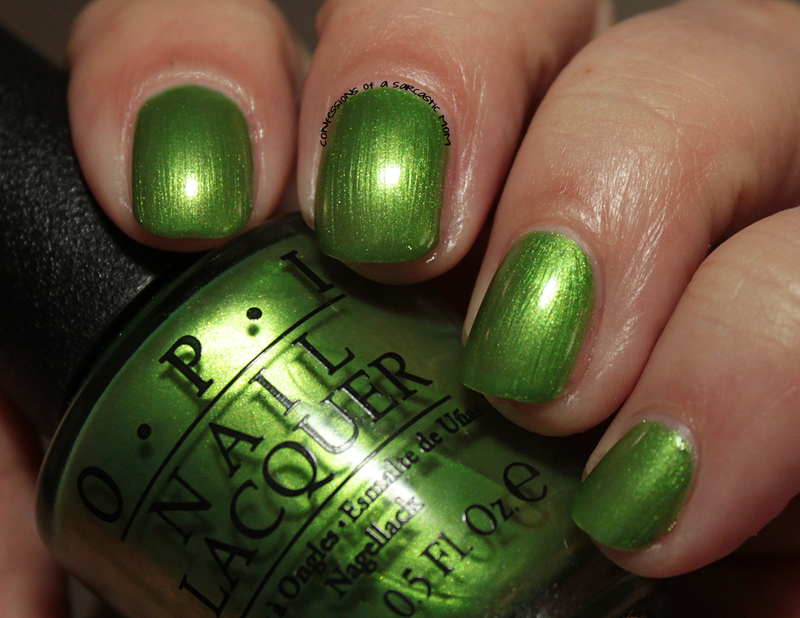 Aloha from OPI: Of course this is one of my favorites!! This is a gorgeous coral-esque red and went on smooth in two coats. Do You Take Lei Away? : What a lovely neutral shade! 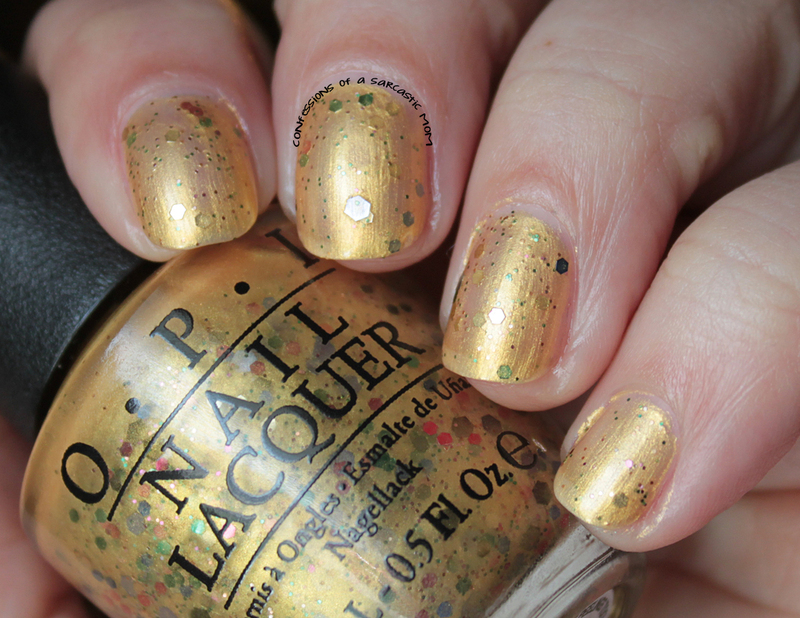 I can definitely see using this in nail art. It went on so easy, and the formula is really good. Lost My Bikini in Molokini: The name kind of cracks me, and the color is great. It's a deeper dusty purple, and I actually needed 3 coats for this one. The first was patchy, the second evened it out, and then third covered up all the baldish spots. It still looks great in 3! Is Mai Tai Crooked? : Ahhhh a lovely peachy shade! It's a traditional pastel, as well. I needed three thin coats to come out well. Just Lanai-ing Around: This orchid purple with subtle silver shimmer is very flattering! I wasn't sure about it at first, but it worked very well. Suzi Shops and Island Hops: I'm not much for pale pinks like this, but the formula is really good. For baby pink lovers, this would be a must have! That's Hula-rious: What a cute name! hahah This light mint creme acts like traditional pastels. Kinda streaky, kinda thick, kinda weird. But with 3 thin coats, it goes on every well. Hello Hawaii Ya? : I kinda felt like this was more of a wintery color, but maybe it's just me. It's a muted dusty greyish purple creme. Formula was pretty good. I used 3 thin coats, but I probly could have gotten away with 2 coats. 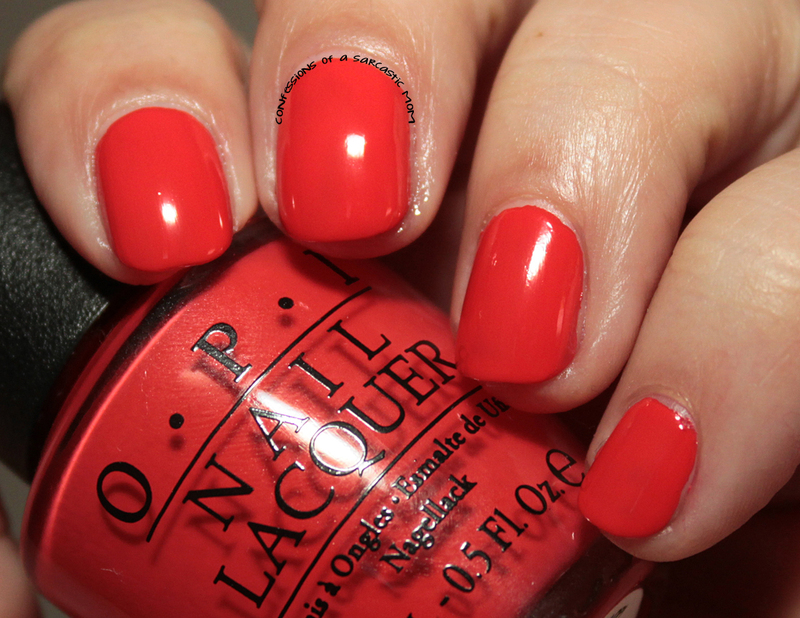 Go With The Lava Flow: This pinky-red shimmer had really great coverage in 2 coats. It was one of those that I assumed would be thinner because of the shimmer. My Gecko Does Tricks: I'm just not sure about this shimmer. I wanted to like this, and I think I might've if there'd been some color shifty goodness. It needed 3 coats, but was very opaque at that point. 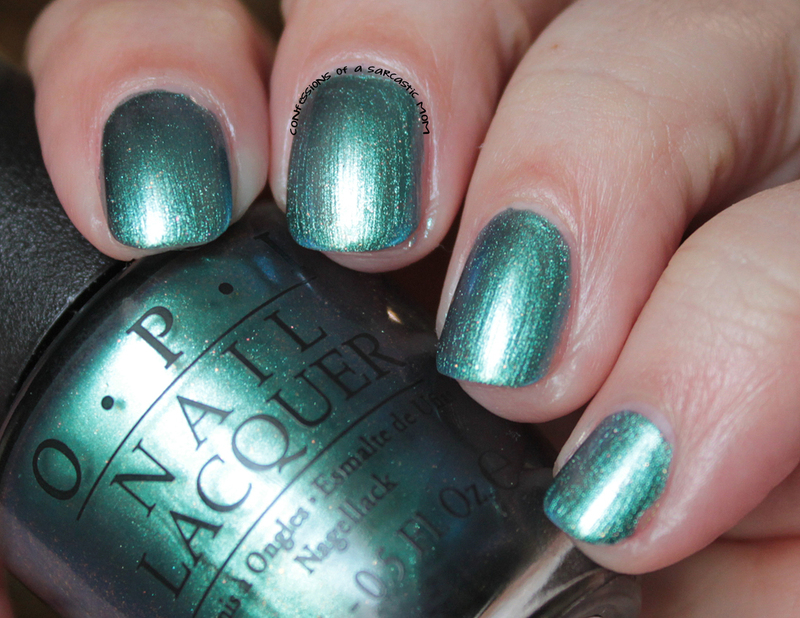 This Color's Making Waves: This is the only color I had any real application issues in this collection. I found this blue shimmer to be thin and watery. Pictured is 3 thin coats, but you can still see some bald patches. I was wondering if maybe it might be good over a black base to make it pop. Pineapples Have Peelings Too: I really just didn't like this at all. 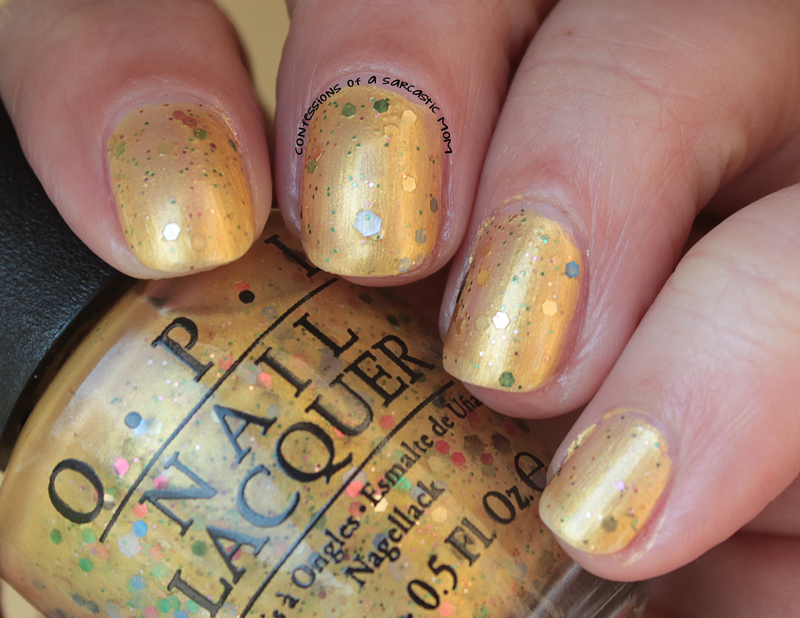 It's a frosty gold-yellow with various glitters. It just doesn't look good at all on me. Sorry pineapples, I didn't mean to hurt your peelings!